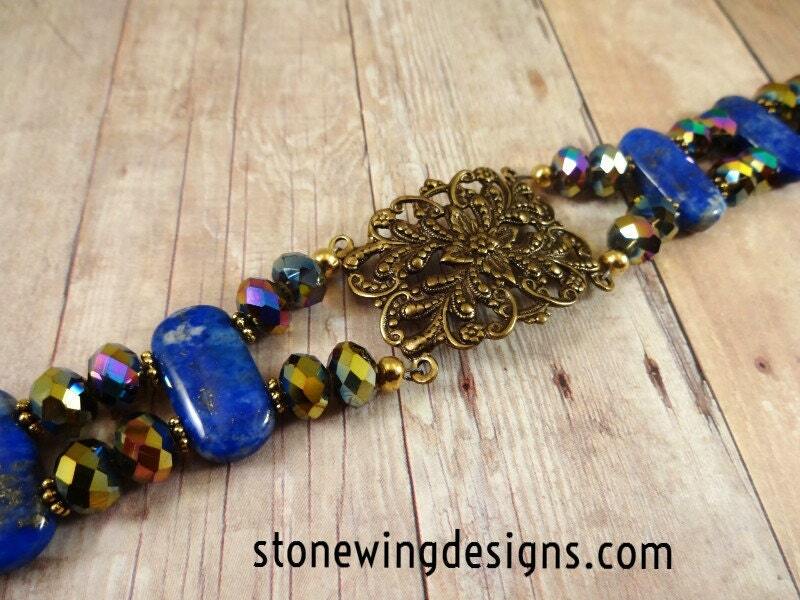 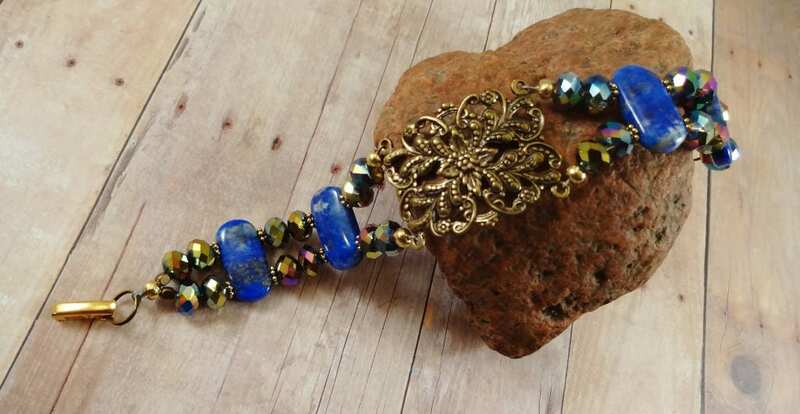 Double drilled Lapis Lazuli gemstone beads are featured in this bracelet with an antique brass filigree centerpiece. 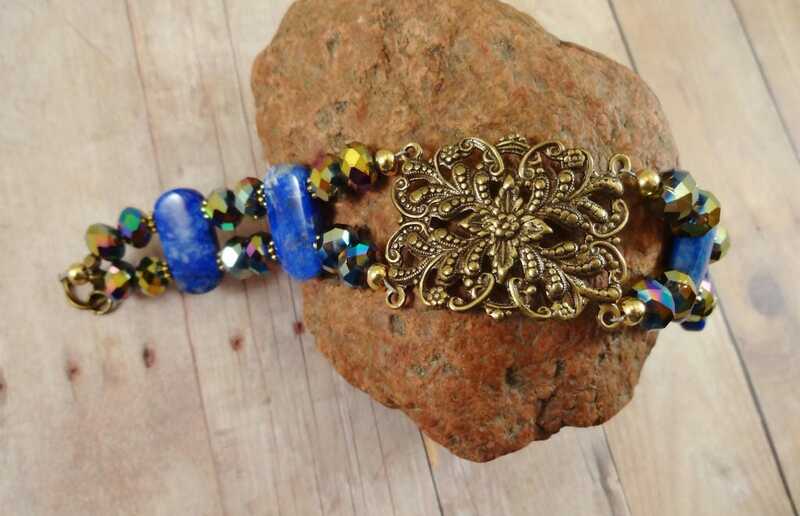 The Lapis beads are a deep cobalt blue. 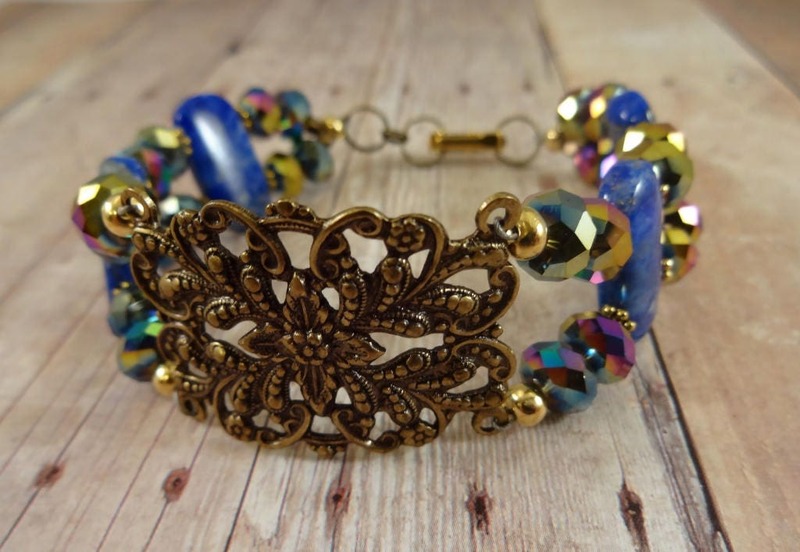 The dark crystal rondelles add sparkle and give the bracelet a moody vibe. 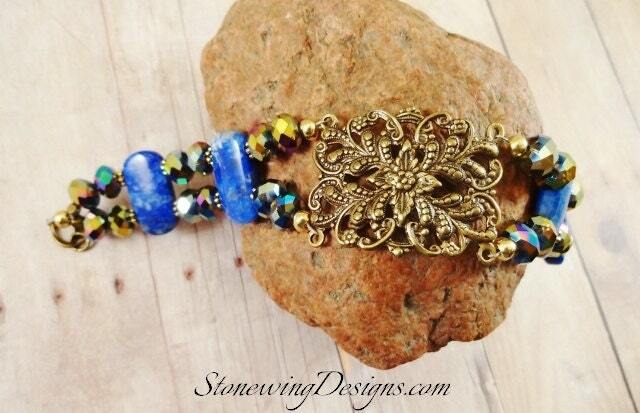 Closes with a gold fold-over clasp and a couple of brass jump rings so you can adjust the size. 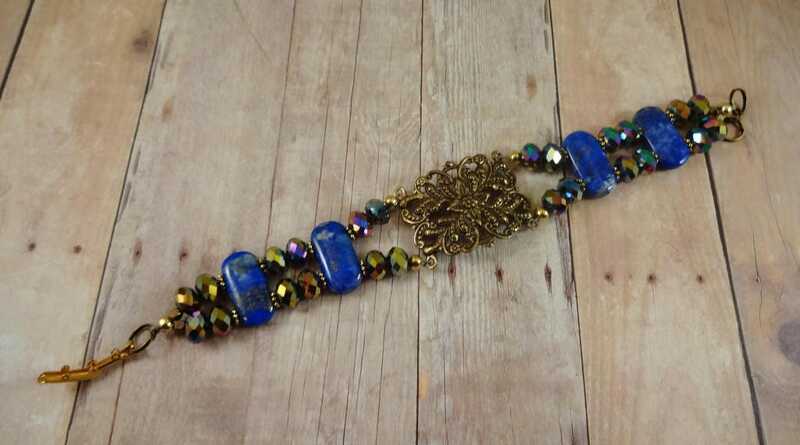 Sized for a 7 inch wrist. 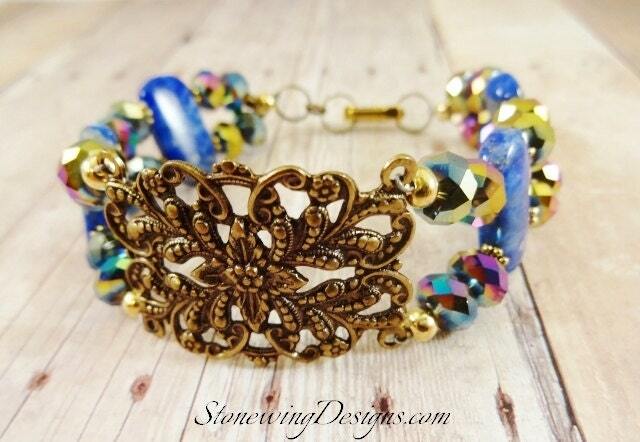 Please indicate in the comments section what size your wrist is and I'll make sure it fits prior to shipping.